This figure includes accesses to the full text, abstract and PDF of the article on the BMC Genomics website. It does not include accesses from PubMed Central or other archive sites (see http://www.biomedcentral.com/info/libraries/archive). The total access statistics for your article are therefore likely to be significantly higher. Hmmm… maybe more people care about polyadenylation that I thought. FYI, I have a link to the paper in the sidebar (the link in the “My Research” box entitled “Arabidopsis mRNA polyadenylation machinery“). “The subject matter deals with organic farming methods, GE methods, questions of environmental conservation, risk, trust, and ownership of seeds and genes. The last chapter, and the only one written jointly, concludes that some marriage of organic and GE technology will represent the agriculture of the future. The bolding in the preceding is mine; the phrase makes a point that I have been convinced of for years. The parallels with the ev/ID-cre debate, where all manner of uninformed antievolutionists believe their erroneous opinions are entitled to equal “treatment”, are striking in this passage. “Although Ronald and Adamchak mention no-till agriculture only briefly, this is surely the agriculture of the future. No-till farms produce only one third of the greenhouse gas emissions of an organic farm . No-till eliminates soil erosion and improves environment, wildlife, and soil. Most importantly, it maintains a conventional yield. Currently 10% of United States farms are totally no-till, and another 60% are partially no-till; this achievement is due almost solely to the availability of GE herbicide-tolerant crops. This last excerpt is a plug for a practice (no-till farming) that has been pioneered and championed by researchers at the University of Kentucky (among other places); indeed, there is an annual No-Till award and seminar (The S. H. Phillips No-Tillage Seminar) given in my department every fall. One of the themes that keeps popping up here is that of nucleases. I thought I would post an adaptation of a table from a recent review by Ciarán Condon that lists the various ribonucleases in E. coli and B. subtilis. The point is to illustrate the variety of nucleases that exist in bacteria, and to get readers to think more of the importance of RNA processing and, moreso, RNA turnover. This table is adapted from Condon C (2007), Maturation and degradation of RNA in bacteria, Current Opinion in Microbiology 10: 271–278. Enjoy. Readers of this blog (all two of ya) have met my younger daughter. The other (Heather) is a senior geology major at the College of Wooster. She’s also a die-hard band geek (she marched in high school, and is a member of the College of Wooster Scot Band). One of our traditional family summer activities is one or more Drum Corps International shows. This summer, we got to see the finals in Bloomington IN (a short 3 hour hop, skip, and jump* from Lexington). Needless to say, this was an excellent show. From start to finish, the crowd was contagious. But the crowd’s reaction to the champions’ show was above and beyond. The new champions are the Phantom Regiment; their show theme was the movie Spartacus. 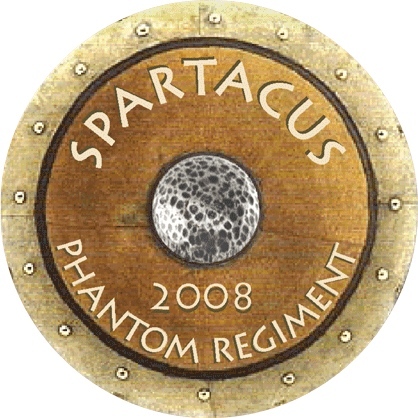 There is a point where the corps gets to re-enact the “I am Spartacus” scene; the crowd was so charged that, at that point, many, many in the audience shouted out as well. For fans, the experience was positively electrifying. DCI will have their championships in Indianapolis for the next several years. I expect you know where I may be found around the 2nd weekend of August for the foreseeable future. * 3 hr car trips are going to seem real short by the end of the summer. Heather is 5 hrs away, and I get to move her stuff up to Wooster this Friday. Amy will be attending Juniata College, a nifty 9 hrs or so by car (and at least that long a plane trip -one of those “you can’t get there from here” situations). The functional and evolutionary implications are fascinating. Of particular note are the possible roles that gene duplication may have played in the origins of the eukaryotic polyadenylation complex (recall that CPSF73 and CPSF100 are themselves related at the sequence level, and are both metallo-beta-lactamase family members), and the functional similarities with bacterial metallo-beta-lactamase nucleases. It is also interesting to see how a shared core (CPSF) has assumed different functions, through interactions with different “accessory factors”. (The notion that U7 and CstF are “accessory factors” is a bit unconventional, to be sure.) And of course, in keeping with one theme of this blog, the implications that this emerging story has for the origins and evolution of irreducibly complex systems are considerable. * astute readers may recall that cell-cycle-regulated histone mRNAs are not polyadenylated. Instead, they have distinctive structures at their 3’ ends, which are formed by a complex that includes the snRNP U7. It turns out that many of the additional proteins that act in concert with U7 are identical to subunits of the polyadenylation complex. CPSF73 and CPSF100 are two of these; the scaffolding protein symplekin is another. Several of the introductory essays in this blog have dealt with aspects of polyadenylation and the complex that mediates this process. As shown in this figure and as discussed (in part) here and here, the complex is sizeable and possesses a number of activities, including some that seem superfluous. However, genetic studies in yeast indicate that virtually every subunit of the core complex is essential – for viability and for pre-mRNA processing and polyadenylation in vitro and in vivo. Biochemical and/or immunological depletion studies reveal a similar scenario in mammals, and a less-expansive set of studies suggests that a similar rule of thumb will apply in plants. The bottom line of all of this is that almost all of the subunits of the polyadenylation complex seem to be essential. In the vernacular of a proponent of intelligent design, the polyadenylation complex would seem to be irreducibly complex. It is in this context that the recently-completed genome of the parasitic organism Giardia lamblia enters the fray. Last year, the complete sequence of G. lamblia, some 12 million base pairs, was determined and analyzed. The authors of the study published in Science noted a number of interesting things – a preponderance of genes encoding protein kinases, evidence for substantial horizontal gene flow from bacteria and archaebacteria, and a streamlined core gene expression machinery (transcription and RNA processing). This streamlining is especially notable in the case of the polyadenylation machinery. Remarkably, of all the subunits pictured in this figure, genes for only three* can be found in G. lamblia (see the figure that follows this paragraph). You are currently browsing the The RNA Underworld blog archives for August, 2008.